Yes, I know...I haven't blogged in a couple of weeks. But why should I? Don't you have better things to do for summer? Like camping, fishing, swimming, and drinking beer on the patio? 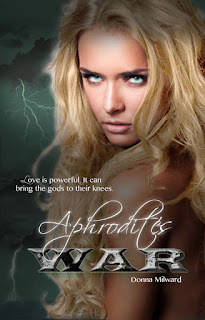 I don't know if I told you all, but the launch date for Aphrodite's War has been pushed back to September. No, no, no...That's a good thing. Remember that award I didn't win? Well, my publisher and I have decided that the feedback about that is great, and we think it's going to amount to a lot more exposure and hopefully more sales. 1st Prize: An Aphrodite's War T-Shirt (size L), an Aphrodite's War notebook, keychain and 5 signed bookmarks. 2nd Prize: An Aphrodite's War T-Shirt (size L) and 5 signed bookmarks. 3rd Prize: An Aphrodite's War keychain and 5 signed bookmarks. It's easy to participate. Just spread the word about Aphrodite's War and tag me when you do so I can see you. You will gain an entry EVERY time you do it, but remember to tag me. It DOESN'T COUNT if you 'like' my posts. You have to put it out there on Twitter, Facebook, author pages, etc. This contest will go on for two weeks, and I will announce the winners on July 11th, 2013. This contest is the the sole responsibility of the author, Donna Milward, and is in no way affiliated with Facebook or Twitter in whole or in part. The first time I read those words they were quoted in probably one of the last issues of Creem magazine. The journalist clearly worshiped Mr. Rollins, praising this verse as a profound message to the masses on how to survive. As a matter of fact, I found them to be the exact words of wisdom I needed to get through my teens. I figured if he could not only exist, but THRIVE in the chaos that was HIS life, then so could I. This verse became a kind of mantra for me, and I've been an admirer of his ever since. And guess what? He's funny, educated, and cares a great deal for the world and its inhabitants. And he's' absolutely fearless. My husband and I got to see him here in Edmonton on his "The Long March" Tour. He told us stories about the punk scene: Like the poor girl who lost an eye when a large stagediver landed on her. He told us about trying to decide between a chocolate bar he loved and a larger one he hated because the gross one was bigger and he was down to his last 30 cents. How while he was deciding this, two cowboys tried to bully two cross-dressers and ended up running away like frightened little girls. He told us how he was filming for National Geographic and drank a glass of cow urine...Only to discover he was drinking the unsterilized version...Then his cameraman insisted on another take. Even my jaded troll loved him. He made us laugh, cry, and think for three hours without missing a beat and without even a drink of water. It was after that show that he became an official muse for me. As my career waxes and wanes, will I have the same courage he does? I learned so much about him. What I don't understand is how a man who has been through so much can be so strong, humorous and caring. He's a brave and passionate man and I guess he never lost his grip. 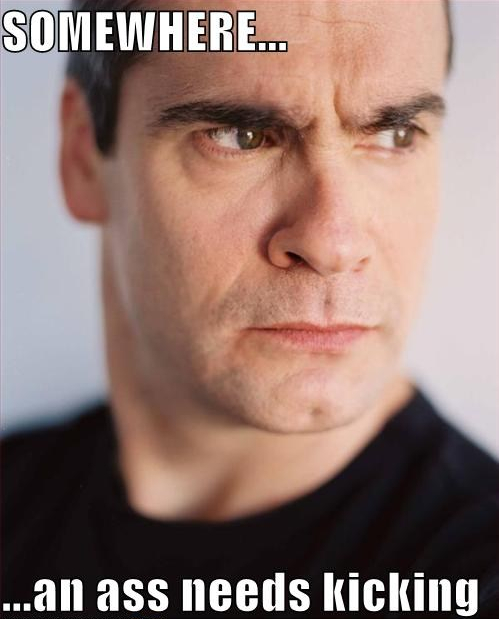 And for those reasons, Henry Rollins is museworthy.